University College offers variety of ways to pay for your tuition. 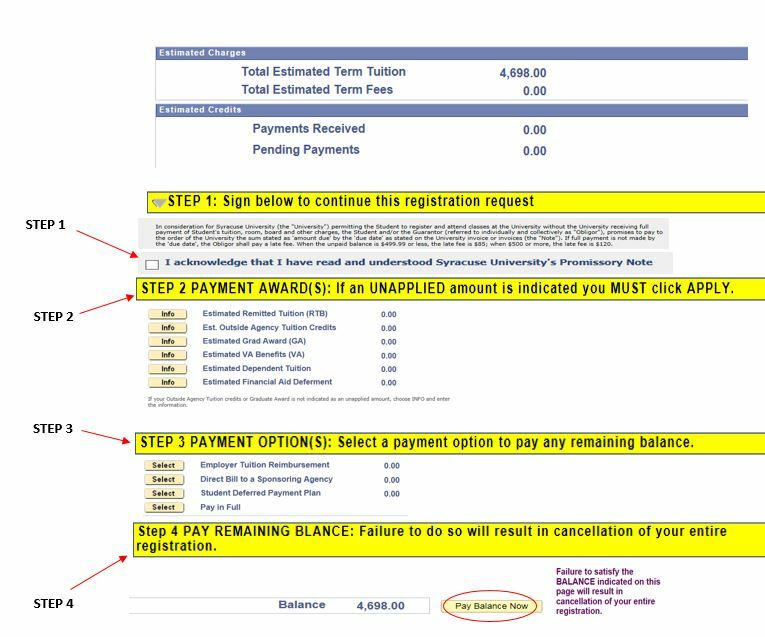 The University College Online Registration process will automatically calculate any Payment Awards for which you qualify. You must then choose from a variety of Payment Options to satisfy any remaining balance. Any payment required at that time can be made by credit card or electronic banking, with no third party service charge to you! The following Payment Awards are available to qualified students and are estimated at the time of registration. If an estimated award is pre-populated on your payment page, you must APPLY that estimated award to deduct it from the Balance. It is also possible for you to indicate that certain awards are imminent, but not yet pre-populated. Should the actual award be less than the estimated amount, you will be billed for the difference. You are required to choose a Payment Option to cover any remaining Balance after eligible Payment Awards have been applied. The following Payment Options are offered to University College students. Not all students are eligible for all options. You must select the option that pertains to your payment situation and submit any required documentation by the indicated due date. After the registration process, you must click on COMPLETE MY REGISTRATION and you will be directed to a payment page where you must APPLY any applicable estimated payment award and choose a payment option to cover any balance not satisfied by that award. Click on CHOOSE A PAYMENT OPTION. MAKE SURE THAT YOUR POP-UP BLOCKER IS OFF before continuing. You will be able to test your pop up blocker as you proceed. Invoiced charges cannot be paid using the online registration system. After registration, any invoiced charges may be paid using the following options. Payments can be made by credit card (MasterCard, Visa, or DISCOVER) online or by electronic transfer at MySlice by going to Student Services> Finances> Make a Payment. Electronic banking payments that are declined will incur a returned check fee.